Regardless of what type of window installation project is of most interest to you, know that at Advanced Roofing of Central Georgia, we offer and install Energy Star approved replacement windows and sliding glass doors. Double-paned windows have two sheets of glass in a window frame instead of just one. Between the glass panes is a small space to provide insulation. 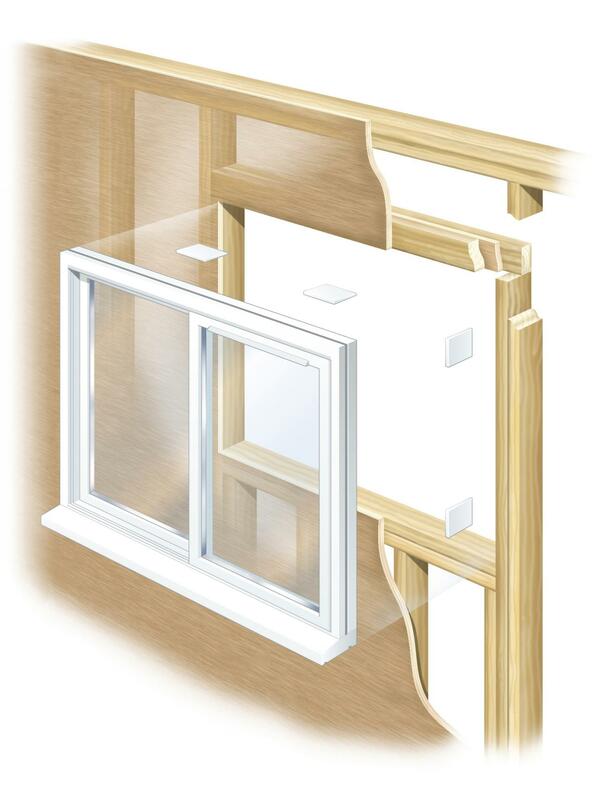 The small space between window panes is filled with insulating gas to further increase insulation. When you replace your windows with new energy efficient replacement windows, you take a huge step towards making your home more efficient! A good portion of your home’s heating and cooling bill can be attributed to your drafty windows, and nothing can truly stop those drafts like new energy efficient windows. Whether you’ve already researched replacement window types, styles, colors or specific benefits you’re after or if you’re noticing its about time to get that process rolling, think Advanced Roofing of Central Georgia! With years of new replacement window installation experience on homes (both big and small!) throughout Warner Robins, we’ve just about seen it all when it comes to replacement windows! We’ve installed new replacement windows in homes of all shapes, sizes and specifications throughout Central Georgia, and worked with all types of homeowners. We’ve found that our best customers tend to be the most discerning, when it comes not only to replacement windows but more importantly to installation procedures, following up after the sale, and standing behind what you sell. If you’re improving the exterior of your home, then consider replacing the sliding patio door. Whenever you need one all you have to do is call Advanced Roofing of Central Georgia. We have the experience and know-how that it takes to install your new door. Whenever we hear the term ‘patio door’, we often think of a larger glass door in which we access our backyards from. But the term means different products to different people. 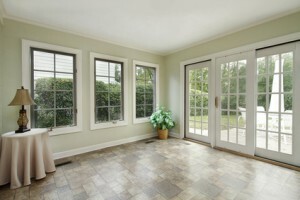 Most patio doors are 6- feet wide as there are some that are 5-feet too. They are constructed of aluminum, vinyl, or wood. It’s your choice as the homeowner to choose the best and most energy efficient product for your home. Some patio doors have rollers at the top while others are located at the bottom. You’ll find that each type though has certain advantages over the others. Has your glass window started to fog up? Or maybe you’re noticing moisture inside one of your casement windows. Either way, the problem is the result of a broken seal. When the seal at the top or base of an air-tight window unit has been compromised, air can seep in between the two panes of glass. And where there’s air, there’s bound to be moisture. Moisture is not the only thing that can obscure your view when a window seal has broken. Over time, mold can begin to grow in the warm, damp space between the glass. It may take months or even years for the fog and/or mold to affect your view, but once you decide it’s time to have the problem fixed, call Advanced Roofing of Central Georgia.